P-Z There are 148 products. https://www.youtube.com/watch?v=7egMS-7zuZs Limited to 200 copies. https://soundcloud.com/terratvr-possessions/slidhr-spit-of-the-apostate -Fiery Black Metal from Ireland. 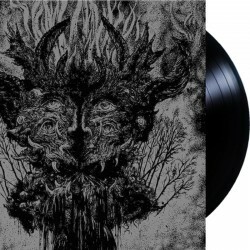 Intricate, yet without straying away from the by now well known Slidhr sound; fresh and unique, something thats quite an accomplishment in todays infected Black Metal "scene".Comes in luxurious gatefold cover with poster! https://rebirthofnefast.bandcamp.com/album/ex-nihilio Gatefold LP edition of the 'Ex Nihilio' split with Slidhr. Released in 2008 by End All Life. 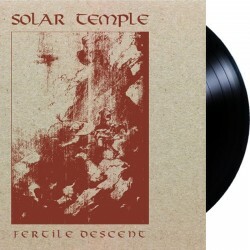 https://solartemplehn.bandcamp.com/album/fertile-descent Deluxe 12" vinyl version of the debut album. Pressed on 180g black vinyl. https://spectrallore.bandcamp.com/album/iPresented on standard 140g black vinyl,it features stunning new artwork by Reuben Sawyer plus insert and A3 poster of the artwork. Limited to 500 copies. https://svartiloghin.bandcamp.com/album/de-gl-mda Limited edition of 200 handnumbered copies. https://svartiloghin.bandcamp.com/album/de-verjordiska Limited to 200 handnumbered copies. https://svartiloghin.bandcamp.com/track/stj-rn-tare-dv-ljs-under-torv-och-moss Limited to 200 handnumbered copies. https://svartiloghin.bandcamp.com/album/never-mind-the-emptiness Limited to 200 handnumbered copies. 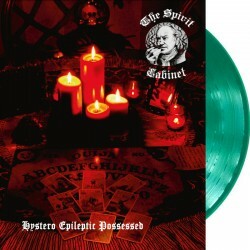 Last copies of this killer Dutch LP. Original Damnation press from 2001, records are in excellent condition. 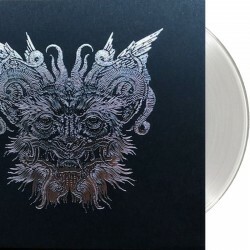 https://markovsoroka.bandcamp.com/album/tchornobog Repress of this masterpiece on solar-smoke vinyl! https://teitanblood.bandcamp.com/album/seven-chalices Double LP with a 16 page booklet.